Religious Affairs Directorate and Turkiye Diyanet Foundation launch aid campaign for the war-torn country. 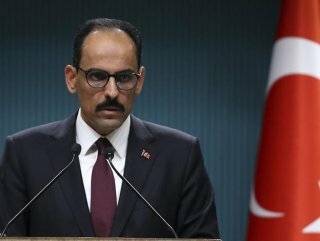 Turkey’s presidential spokesman sought support Friday for an aid campaign launched for Yemen. İbrahim Kalın posted a graphic on his Twitter account on the campaign, which was launched by Turkey’s Religious Affairs Directorate (Diyanet) and the Turkey Diyanet Foundation (TDV) with the headline "Do not remain silent over the screams of Yemen, which is facing the world's biggest hunger crisis". 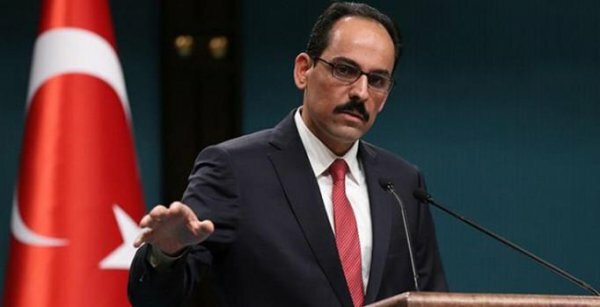 "Let's support this campaign to help our Yemeni brothers," Kalın said while using the hashtag #DonotremainsilentaboutYemen. He said people in Anatolia will once again show the world that they stand with oppressed people. The Diyanet, in coordination with the TDV, will collect aid money for Yemeni Muslims, who are struggling against starvation, disease and civil war. The collection of donations will begin after Friday prayers in 90,000 mosques across Turkey. Those wishing to participate in the charity campaign can also send a text message with the word YEMEN to 5601 to donate 10 Turkish liras ($1.87).